You’ve probably heard the saying “which came first, the chicken or the egg?”. Well, we’ll probably never know what the answer is, but we can learn as much as we can about the Chicken and the Egg. In our case, we’ll discuss about chicken eggs. I am here to answer all the questions you might be having in relation to this topic. So, sit back and get ready to learn all you need to know about chicken eggs. Most folks generalize the parts of an egg into three parts only; the shell, the albumen and the yolk. However, you’ll be surprised to know that these are not the only parts. 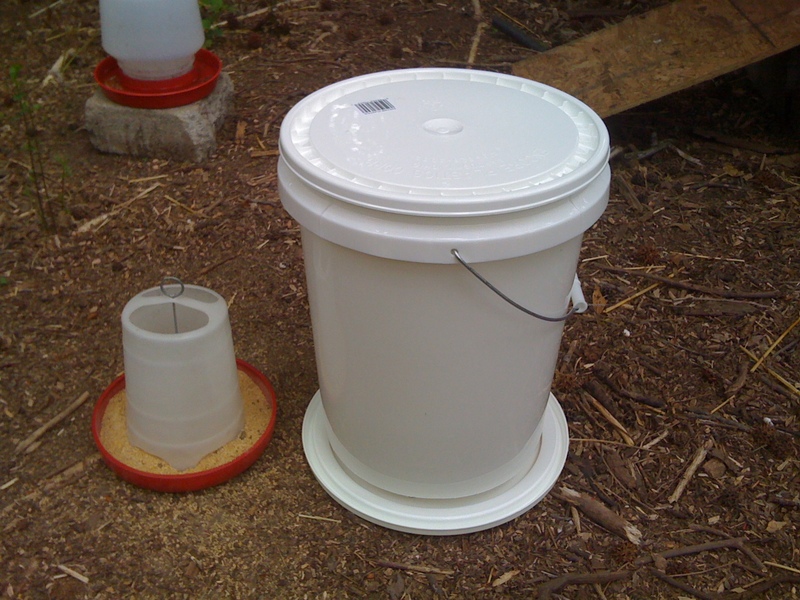 There are many components that make the chicken egg what it is. Here is the complete anatomy of a chicken egg. The cuticle or bloom is actually a thin outermost coating of the shell which keeps out dust and bacteria. It does this by sealing the pores on the shell. By doing this, the cuticle also reduces moisture loss from the interior of the egg. The eggshell is the hard outer part of an egg. It is composed of calcium carbonate crystals and has a grainy texture. The shell is covered by around 17,000 tiny pores which makes it semipermeable. The semipermeability allows air and moisture to pass through the shell. 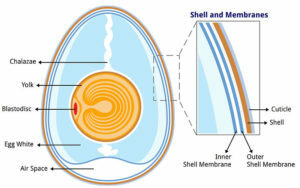 These two membranes are found immediately after the shell in the inner side of the egg. Both are partly made of keratin. Their main purpose is to protect the egg from bacterial invasion. When an egg is laid, it is usually warm. Once it cools, the outer and inner shell membrane separate forming the air cell. The air cell is usually formed at the egg’s larger end, This air cell is what you normally see as a crater at the end of a boiled egg.The size of the air cell increases as the egg ages. The chalaza or chalazae are opaque spiral ropes of egg white. They are what hold the yolk in place at the center of the egg. Fresh eggs have more prominent chalazae. The word albumen is derived from the Latin word albus which means white. Generally, the albumen is mainly composed of water and contains around 40 different types of proteins. The albumen has two layers; the exterior albumen and the interior albumen. The outer or exterior albumen is a narrow fluid layer that is found next to the shell membrane and is usually very thin. The interior or inner albumen is rather thick and is found next to the egg yolk. It contains a large amount of riboflavin. High quality eggs usually have inner albumen spread out much less and it usually stands at a higher position. In low-quality eggs, the interior albumen appears to be thin white. This is a clear casing that encloses the egg yolk. It is found between the yolk and the interior albumen. This is a plug of whitish yolk which really has no known special purpose. The germinal disk is a small white spot which is circular in space. It is actually 2 to 3 mm big and is located on the surface of the yolk. This is where the sperm enters the egg. The embryo begins its growth in the germinal disk then gradually sends the blood vessels to the yolk so as to get nutrients for growth. The yolk is the innermost part of the egg. Its color ranges from light yellow to a deep orange depending on the breed of chicken or the feed given to them. It contains more proteins than the albumen and also vitamins, minerals and some fat. Some of these include calcium, phosphorus, thiamine, riboflavin, Vitamin A, Iron and vitamin D.
The egg goes through a series of stages before it becomes complete. The process begins at the point where an oocyte is produced from the hen’s ovary. This is what becomes the yolk. The yolk is then released into the oviduct where it can be fertilized if a sperm is available. Whether the yolk is fertilized or not, it proceeds with its journey down the oviduct and is covered with the vitelline membrane, structural fibres and layers of albumin. The movement of the egg causes the structural fibres to twist and form chalazae which hold the yolk in place. The eggshell is then deposited around the egg just before the egg is laid. 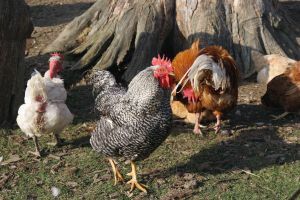 From formation to movement It can take up to 26 hours for the Hen to lay an egg.